It Feels Like Fall Has Fallen. SUNDAY SESSION:Looking north to Lost Winds from Riviera. Somehow like a swtitch it happens and Fall begins. Its colder at night and the sun sets a little sooner each day. There is that dampness that lingers, climbs over everything and doesn’t let go until late in the morning. The full suits go on and sweaters are packed in the top of the bag for a trip to the beach. I like the light in fall; its soft, sleepy and slow. Its not really a haze in the air but that everything seems heavier. Summer tans start to fade and if you are anywhere near the beach, the smell of the ocean is closer. The sharpness of summer is gone and I’m always kinda glad. Freedom is waiting at the end of this tunnel. Soon it will be June and a lot of people will pass through here on their way to summer; it begins just past the concrete where the sand is hottest. Sandals will be flicked off and put in a bag or a back pocket. The biggest decision will be whether to sit to the right or the left. Lips are licked for the salt that is already there and at the berm, most likely, a wave from family and friends will decide if the day is spent closer to tower four or to lost winds. longer. Then it’s just over the feet, up to the waist or all the way in. All the way in, arms out, floating down to the coldest water at the bottom and then rising up to the warm top layer. More salt on the lips, on the teeth, in the eyes, and in the nose as well. No one really seems to mind and everything is almost dry before sitting back down on a warm towel. Cranky, worried and upset going into the tunnel and whistling a tune, coming out the other side. A nap, a good read and a swim or two. 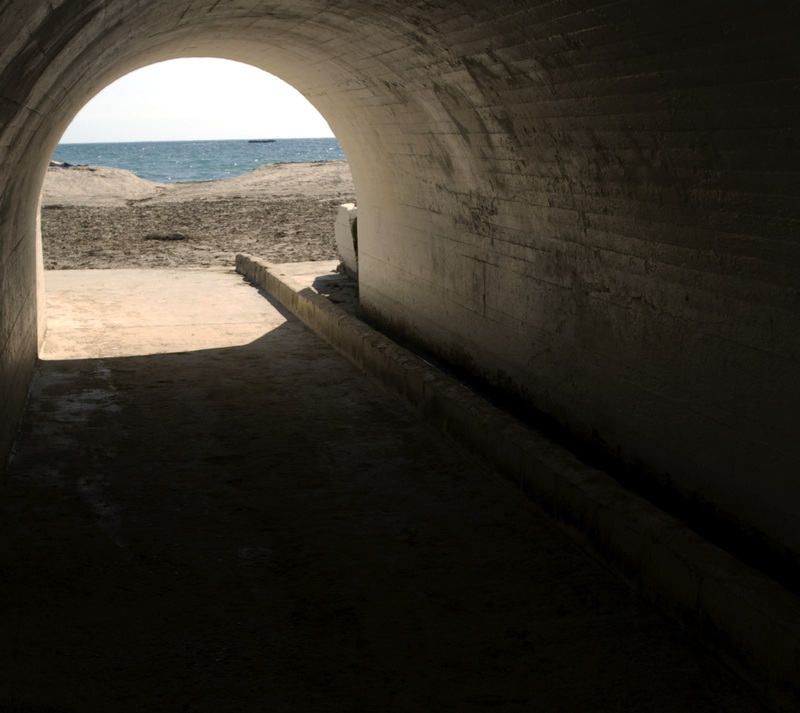 If it’s done right and you think about it, there is no reason why there shouldn’t be light at each end of the tunnel.